President Trump pledged to bring back Christmas, and apparently, that involves sending out astoundingly enormous cards. Lawmakers on Thursday shared images of the massive holiday greetings they received from the White House, reports Newsweek. According to a staffer of Democratic Senator Tom Udall, the card measures 11X14 inches. 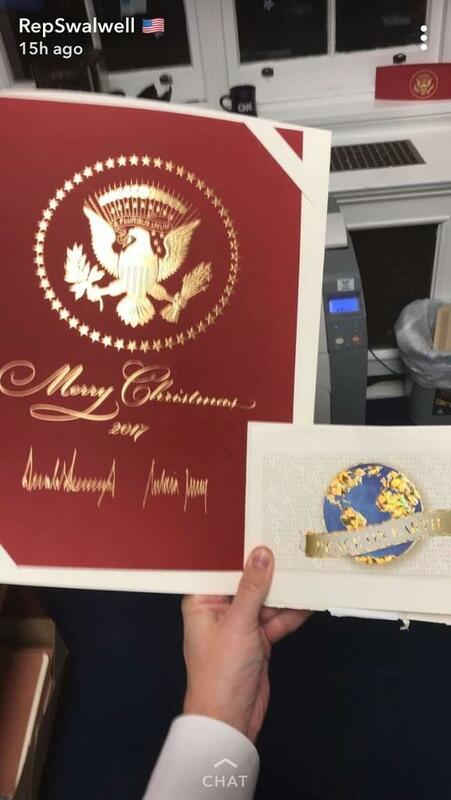 California Congressman Eric Swalwell compared the Christmas card he received from President Donald Trump to an average-sized card in a Snapchat story. Representative Eric Swalwell used Snapchat to show how the card compares to one of a more standard size. It appears Trump’s card is 3—maybe even 4—times bigger. 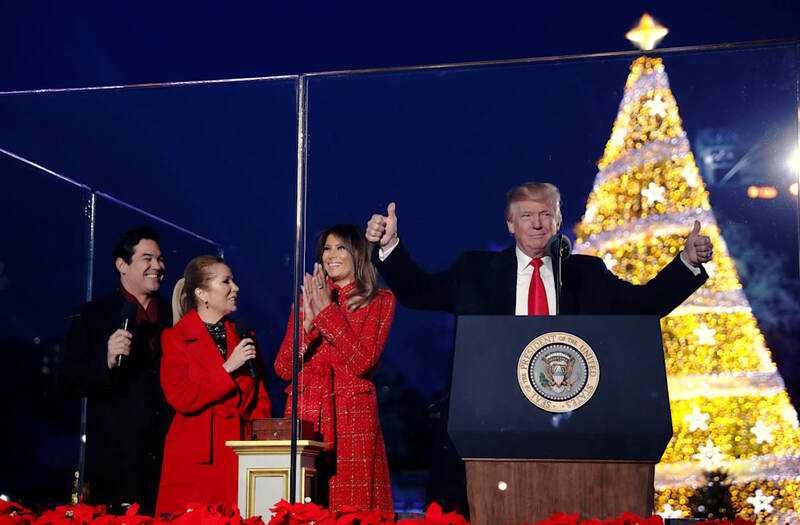 During his campaign Trump was quite insistent that Christmas is being threatened by efforts to make the holidays more diverse and politically correct; he pledged to make “Merry Christmas” seen again. Trump appears to be making good on the promise, as that’s exactly what is written on his behemoth red and gold card.